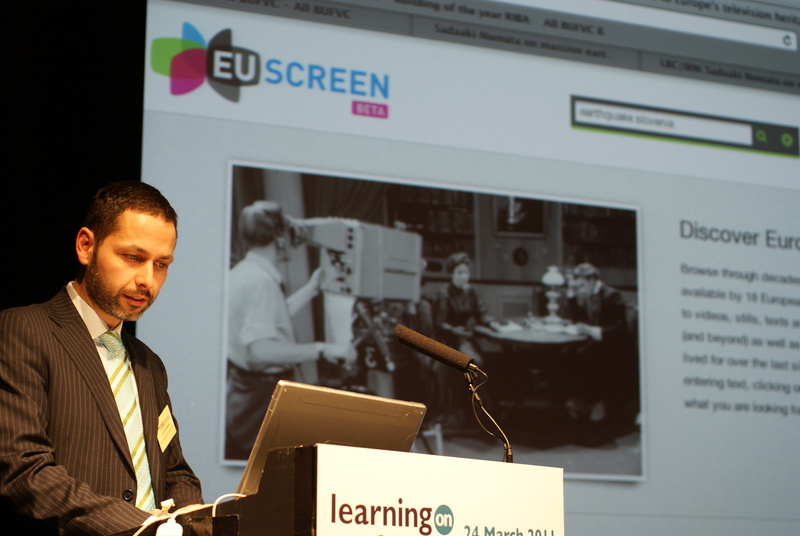 The British Universities Film and Video Council (BUFVC) was proud to present a sneak preview of the EUscreen portal as part of its Learning on Screen conference held at the National Film Theatre (BFI Southbank), London, on 24th March 2011. In his showcase presentation, Luis Carrasqueiro outlined the benefits and challenges of providing standardised and multilingual access to the television content of 19 European archives to around 50 delegates from British universities and media institutions. The demonstration of the beta version of the EUscreen portal and its content focused on ways in which to make best use of this unique European multi-media resource within the context of higher education. Questions by interested participants revolved around the re-use of content, the range of the audiovisual material included in the project and whether copyright issues prevented the inclusion of up to date material. Learning on Screen is the annual conference and awards ceremony held by BUFVC on the importance and benefits of using image and sound in education.